Melting ice on Antarctica is impacting sea levels all across the globe. That's why a father-and-son explorer team, Robert and Barney Swan, set out on an expedition to cross the continent on foot. The goal for this marathon trek was to highlight the importance of combating climate change. Their story can be heard in the "Green Miniseries Part I: The Promise." 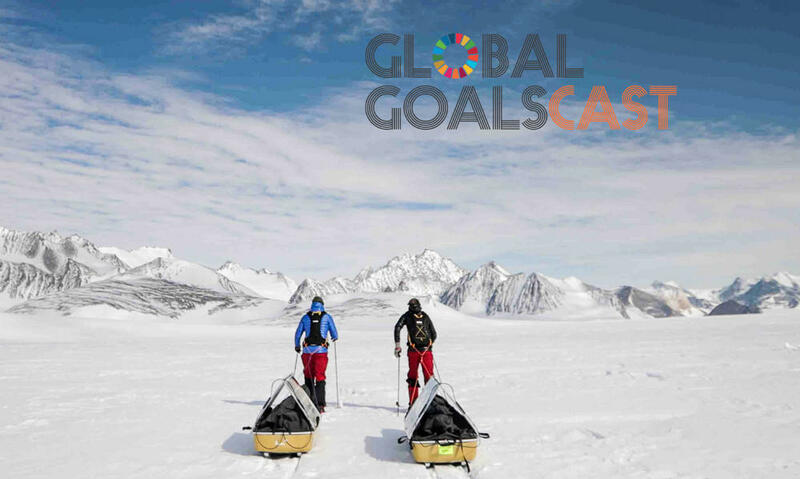 It's part of the Global GoalsCast, a podcast created to inspire listeners to make the world a better, and more sustainable place. "The Promise" also takes a look at Robert Swan's career. He's the first person to walk both the North and South Pole. As a polar explorer, he's been on a mission for decades to help preserve Antarctica's pristine environment. During "The Promise," Swan also discusses Robert Falcon Scott, another explorer who attempted a journey to the South Pole in the early 20th century. "The draw was the place itself, the tragedy, the drama, the story, the diaries of Scott," Swan said. "There is no edge, there are no lies because it wants you dead."